How did you get started winemaking? I’m the 5th generation viticulturist in my family so I was born between tanks and vineyards. When we were kids we played hide and seek in the tanks of the winery and we rode a bicycle among the vineyards. When I finished the school, I decided to study Agriculture because I love the nature and live in the countryside, then in my last year of university I went to Australia to do my first vintage and I loved it. After I started to work with my family and I decided to go to France to do a Master in viticulture and Oenology. 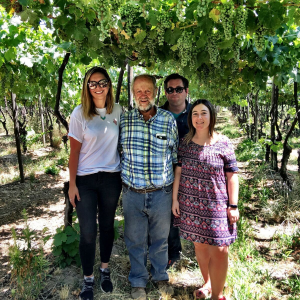 What I love the most about Oenology is that most of the time there is a family tradition behind it. In my case my father founded the company Viña Correa Albano in 1991 but my grandfather, great grandfather, … also had their own winery Viña Astaburuaga. Who were your wine mentors? My mentors where my father and grandfather. My grandfather was one of the first to broker of wine in Chile and one of the first to export wines. We also have photos of the first exportation where you can see the boats with tanks full of wines. I really don’t pay attention to the winemakers. I love to taste different wines from different wineries, valleys and countries, but I never pay attention who was the winemaker, for me is a team job. The most important thing is have good quality grapes. A healthy grape, free of disease, means we can start making a good wine. In white wines the expression of aromas and acidity is really important, so we try to have long fermentations at low temperature. In reds, the wine aging is the most important for me. It is necessary to have the micro oxygenation to soften the tannins and it is very important to limit the oxidation to preserve the fruity aromas that come from the grape. What is the most difficult aspect of making wine? What’s your biggest challenge as a winemaker? The first thing is to have good quality grapes, for that we have to work all year. In viticulture/oenology we say that we never have two equal years so for me the biggest challenge is to know how to react quickly in different situations as a rain or excessive heat for example can cause challenges. What bottles of wine in your cellar are you most excited about? 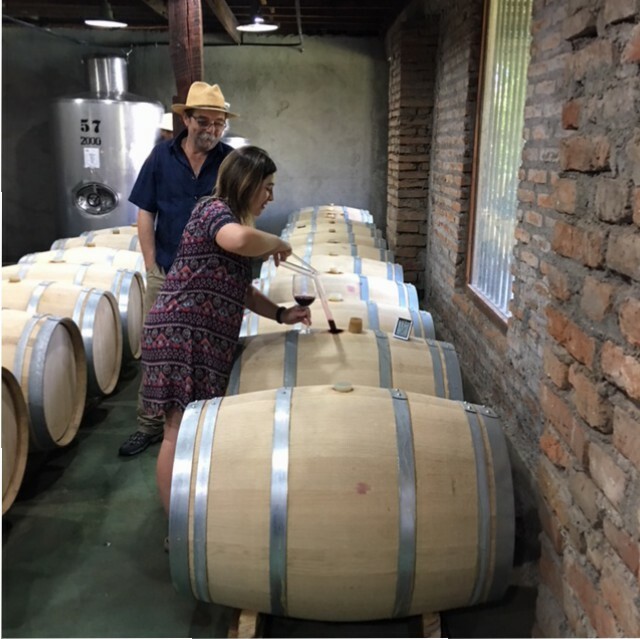 A few weeks ago, we were sorting out and we found samples of our first exportation of wine. We opened a bottle and it was really good so now that we found the bottles we take care of them the most. Also, I have a box of 12 bottles of my grandfather’s wine from my year of birth that he gave to my parents at my baptism and I’m waiting for a special occasion to open it. I don’t have any favorite wines but for me the history behind the wine is very important, we cannot compare a big Chateau of Bordeaux with unlimited means with a small producer with all the adversities of nature. In general, I enjoy more a wine from a small producer with a tradition behind them, than a wine from a big winery. For me the most important is oxygen in aging the wine, the barrels have porosity so they give a micro-oxygenation to the wine which is very important to the complexity and the maturation of tannins. I use barrels, but I always try to not exaggerate because I prefer to preserve the fruity aromas over those gave from the oak. Yes and no. We have a tangential filter which is very good in preserving the quality. For our premium line, which has a minimum of 8 months in the barrel we will not filter. We are thinking about implementing the pulsair system in our winery, so we don’t have to us the remontage method and limit the oxidation. What’s been your greatest challenge as a winemaker? Any advice for a new home winemaker? Have patience. We cannot rush the aging and to have complexity, sucrosity and soft tannins are important and take time. Also, you have to have in mind that the oxygen can be the best friend or the worst enemy in the aging. Is important to have micro-oxygenation to help the maturity of wine but if it is not controlled, he can oxidize some components and be harmful to the final quality. If you had to pick one wine to drink for the rest of your life what would it be? I cannot pick only one wine, for me the wine depends the occasion and is important to change and try different wines. I don’t have a favorite region but I loved the whites of Alsace and the Cabernet Franc of Saumur Champigny. I am shy and I have a very bad memory, that’s why I can never remember the names of the winemakers and wineries I have tasted (that’s why I always write my tasting notes).